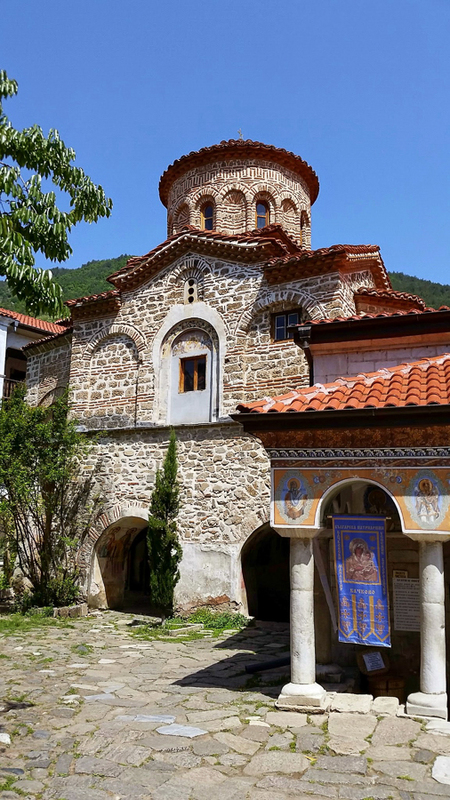 The Bachkovo monastery of the Mother of God is one of the oldest and largest Orthodox monasteries in Europe from 1083. 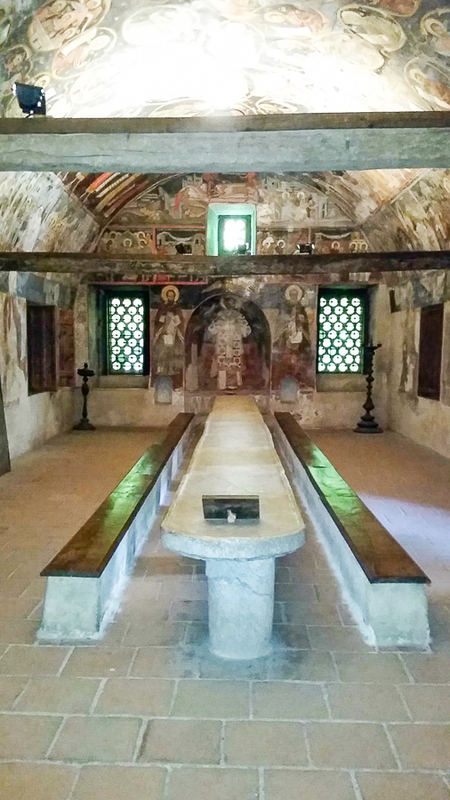 The refectory of 1601 has great artistic value. 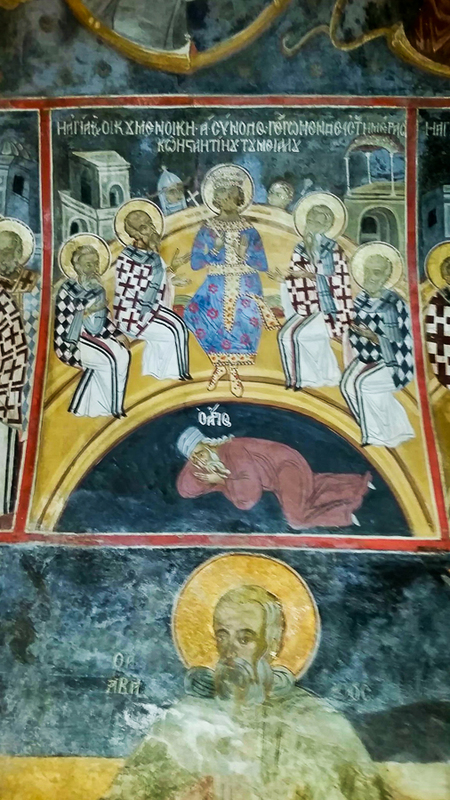 This depicts the Council of Nicaea that triumphed over Arius whom you see on the floor. 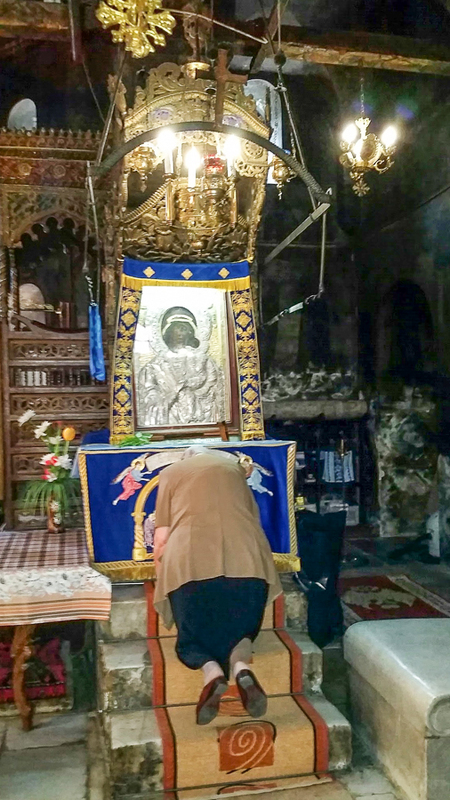 Inside the church is the wonder working icon of Virgin Mary Eleusa of 1310 brought from Georgia. 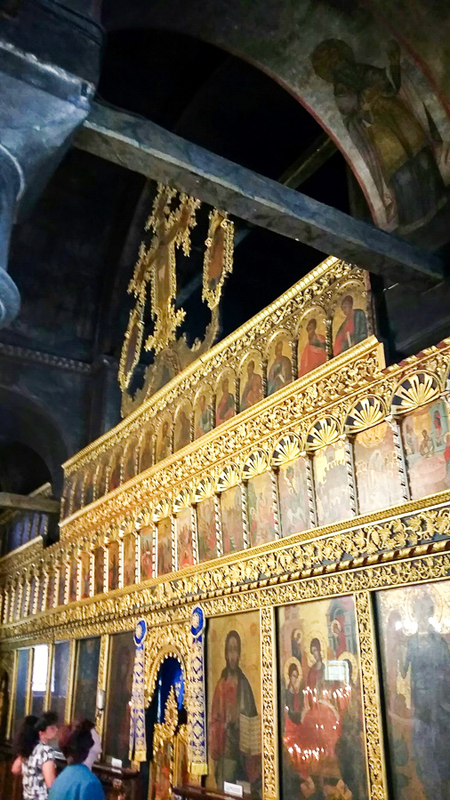 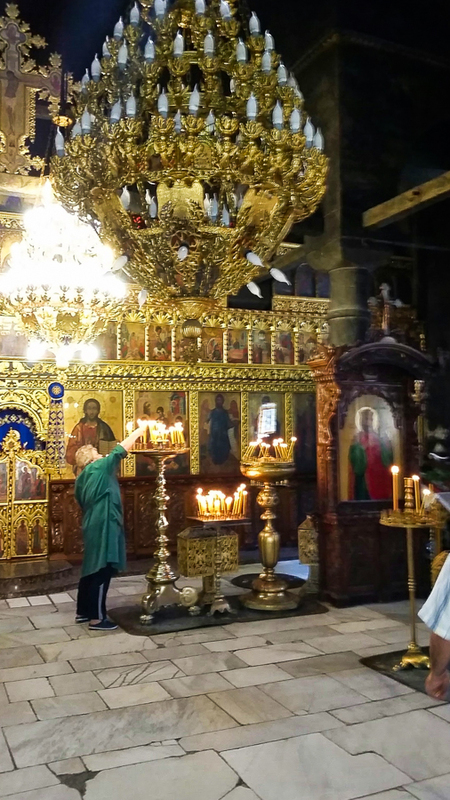 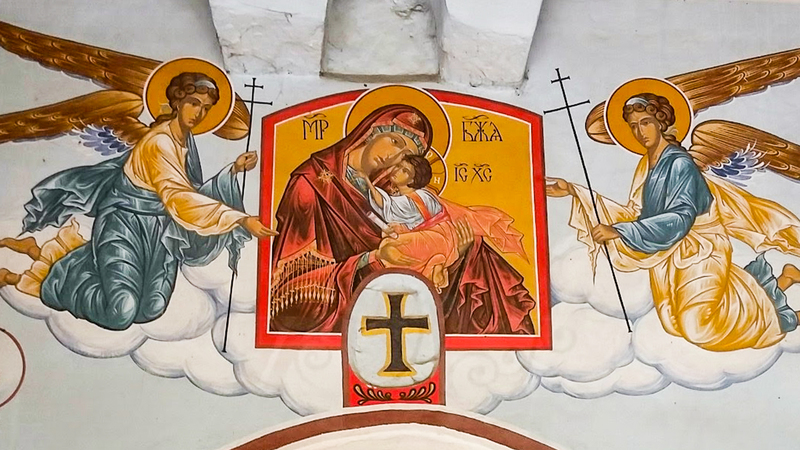 This is one of the three miraculous icons in Bulgaria. 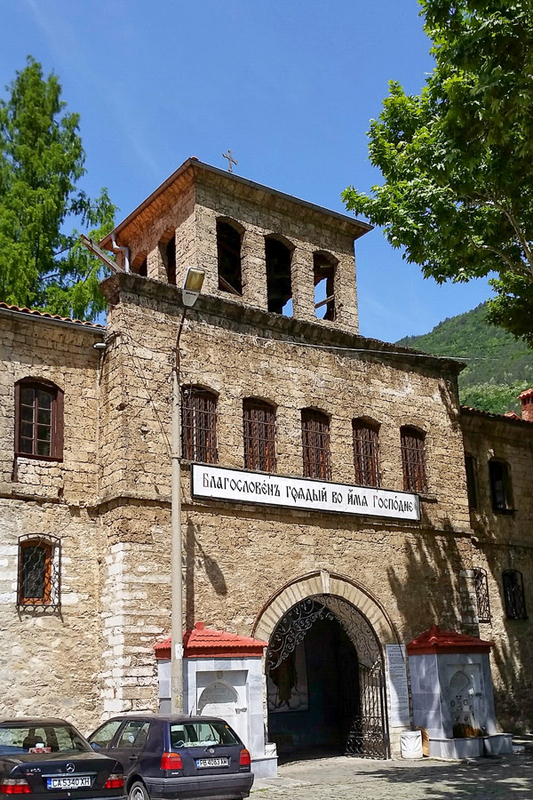 The current church was built in the 19th century over the prior church destroyed by the Muslims of the Ottoman empire. 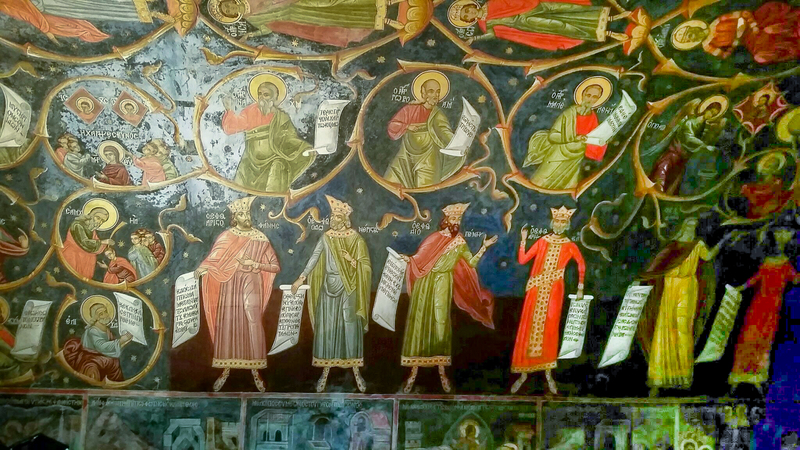 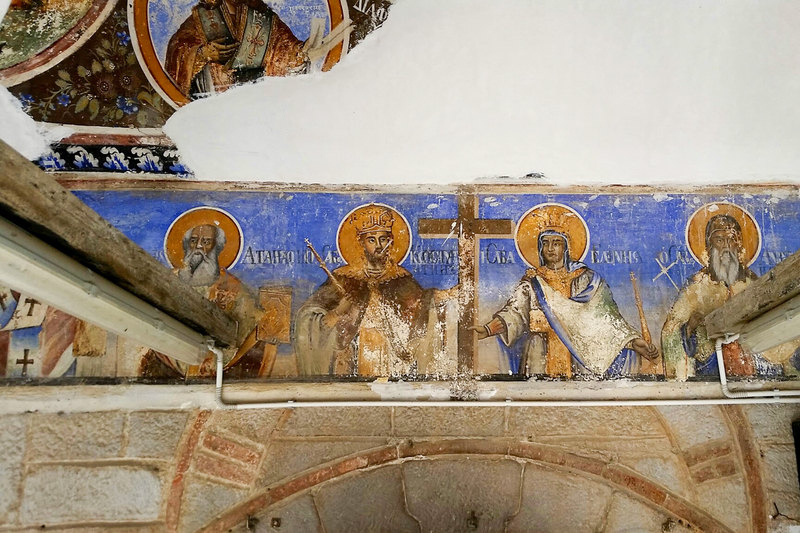 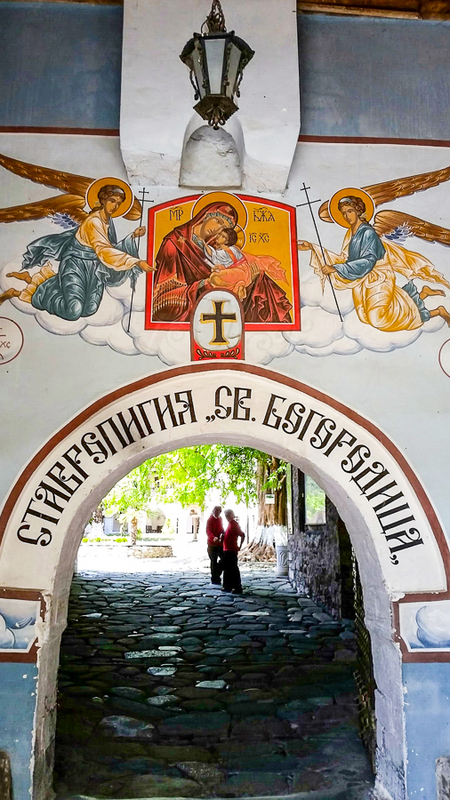 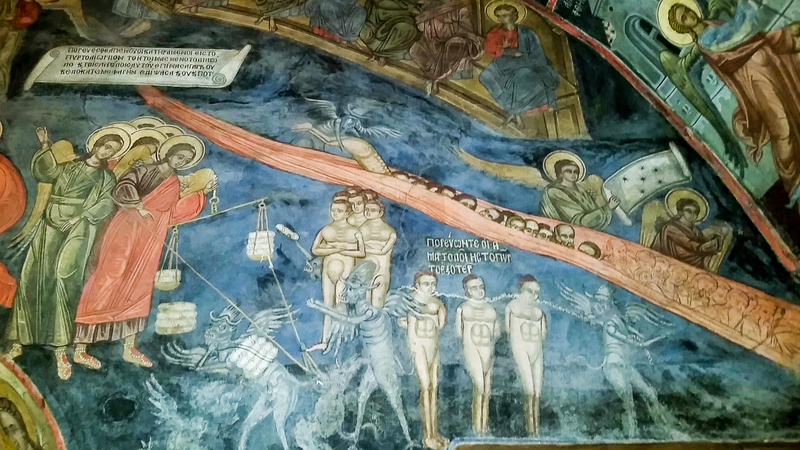 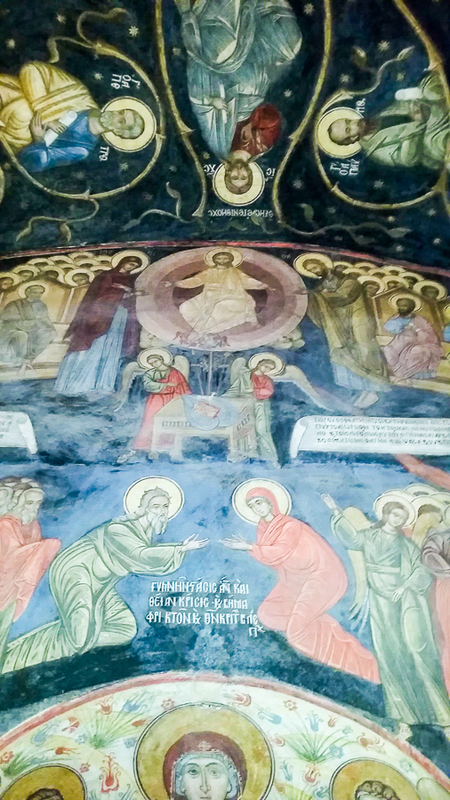 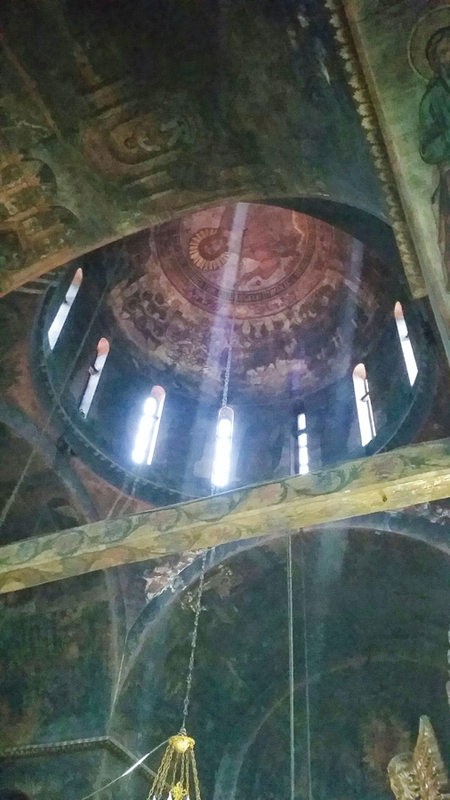 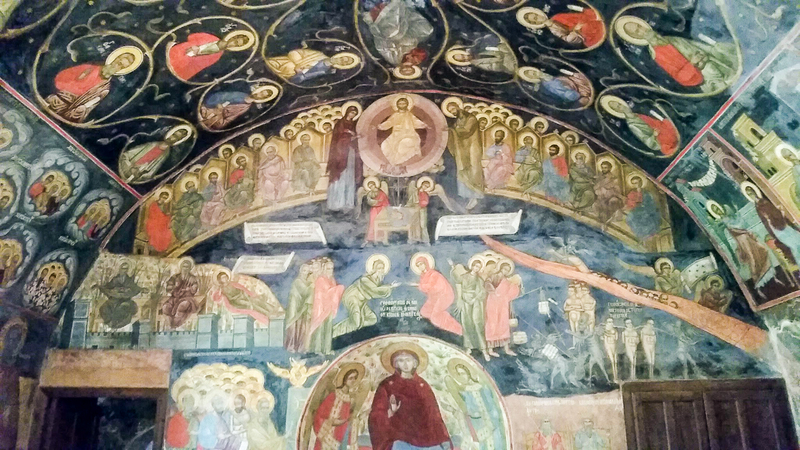 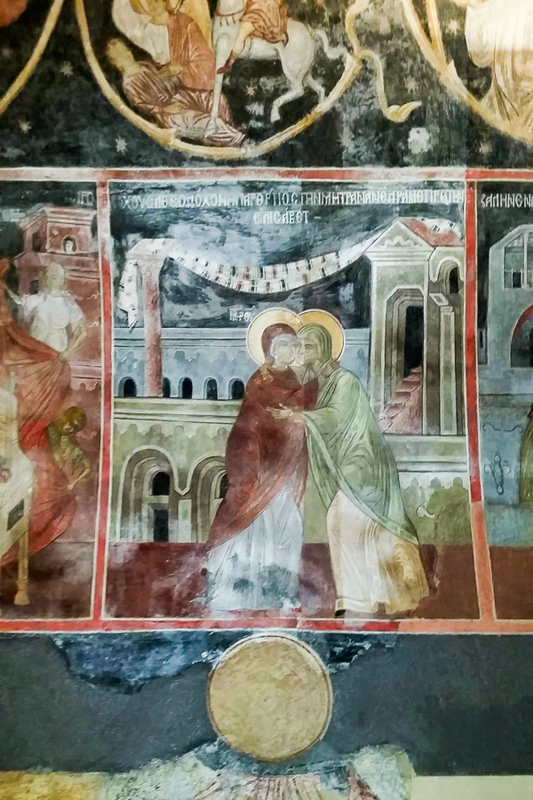 This entry was posted in Silk Road, Travel and tagged Bachkovo, Bulgaria, frescoes, Monastery on July 8, 2015 by frjfkauffmann.